The Like Dreams Solaire plaid transparent PU body is check point friendly. Its great for sporting events, music festivals, and any other event . 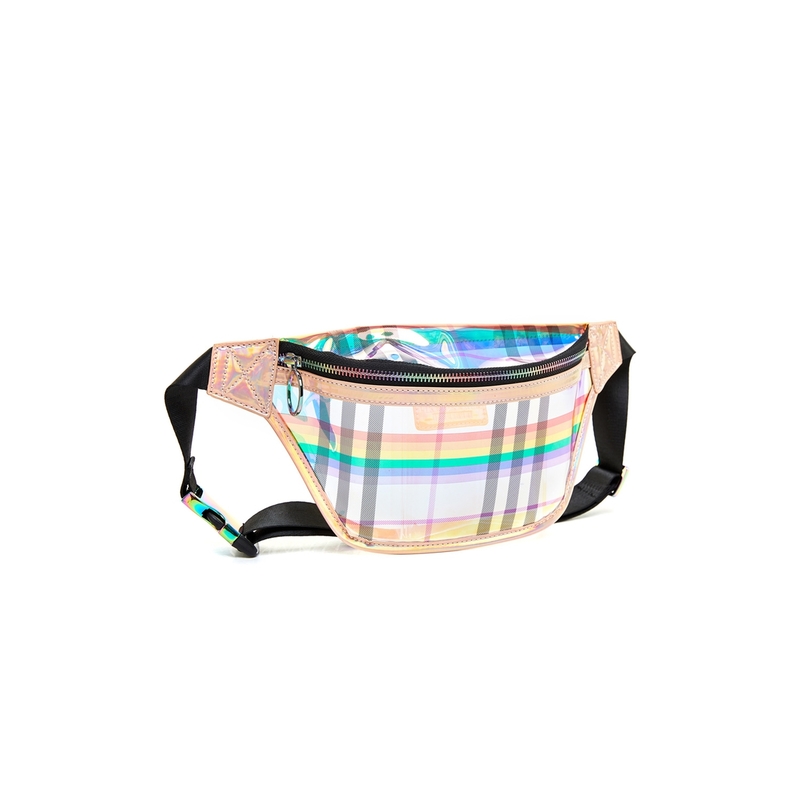 It comes equipped with an adjustable strap, hologram buckle, and multi colored zipper.